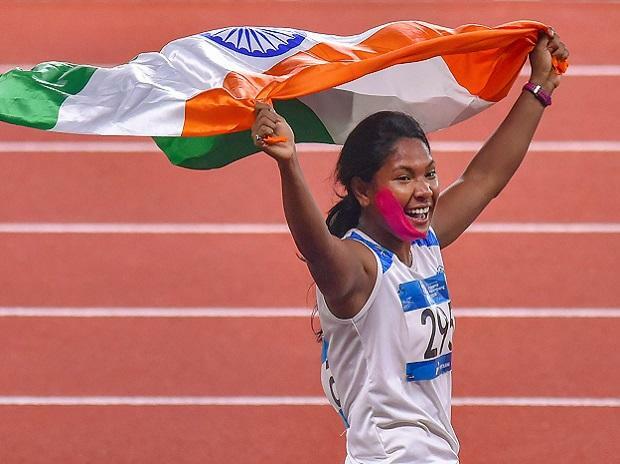 West Bengal Chief Minister Mamata Banerjee on Wednesday congratulated Swapna Barman who became the first Indian woman to achieve a top podium finish in the gruelling heptathlon event at the Asian Games. "Heartiest congratulations to @Swapna_Barman96 our heptathlon queen from India and Bangla, on winning the gold at the Asian Games. You have made us very proud," Mamata said in a tweet. Swapna posted a score of 6,026 points to clinch the gold medal. Wang Qingling of China scored 5,954 to take silver while Japan's Yuki Yamasaki produced her personal best of 5,873 to bag the bronze medal.